The demand for foreign exchange (forex) has continued to rise despite the drop in forex earnings by the Federal Government, it was learnt yesterday. Central Bank of Nigeria (CBN) Governor Godwin Emefiele said yesterday that the average monthly import bill rose from N12.4 billion in 2005 to N588.1 billion in the first five months of this year. Speaking in Lagos at the 2017 Annual General Meeting of the Nigerian Bar Association (NBA), Emefiele said the import bill rose despite the significant reduction in inflow of dollars, caused by the sharp drop in oil prices. He said the CBN witnessed a significant decline in forex inflow and reserves from about $42.8 billion in January 2014 to about $23.7 billion in October 2016 before recovering to slightly over $30 billion today. Acccording to him, in terms of inflow, the bank’s forex earnings fell from as high as $3.2 billion monthly sometime in 2013 to as low as $580 million per month at some point. Although Emefiele did not give reasons for the rise in the import bill, it may not be unconnected with Nigerians’ love for imported goods or increased production in the manufacturing sector. “Despite these outcomes, the demand for forex has risen significantly. For example, in 2005 when we had oil prices at about $50 per barrel for an extended period of time, our monthly average import bill was N12.4 billion. In stark contrast, the average import bill in the first five months of 2017 is about N588.1 billion per month,” he said. He said the combined effects of the aforementioned exogenous shocks, especially the fall in oil prices and the capital flow reversals due to monetary policy normalisation in the United States, compelled several depreciations of the Dollar-Naira Exchange Rate. He said the negative effect of high inflation and exchange rate volatility have prompted the CBN to tackle both developments head-on. He noted that high inflation hinders economic growth and is not only harmful to growth in the long run, it discourages saving and inhibits planning and investment as people become more skeptical on the direction of prices of goods and services. Emefiele, who spoke on the theme: “The dilemma of monetary policy during a recession: Potential Options for Nigeria”, said achieving low inflation is a major priority of the CBN, adding that any decision it takes on the economy usually has certain repercussions. He said the naira depreciated from $1/N155 in June 2014 to as high as over $1/N500 in the parallel market around February 2017 adding that the country is also dealing with the perennial problem of high interest rates in Nigeria. The naira exchange rate against the dollar has however improved after the CBN introduced the Investors & Exporters forex window. 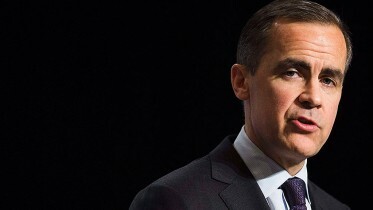 “If we had chosen to reduce interest rates and increase money supply, we would have further deepened the recession, while assuring foreign investment outflows which would worsen foreign exchange reserves accretion,” he said. He said faced with the need to tackle high inflation, the correct monetary policy would be to tighten money supply either by increasing the Cash Reserve Requirement (CRR) of banks, mopping up money through increased Open Market Operations, or raising the Liquidity Ratio of Banks. However, while doing any or a combination of these would help moderate inflationary pressure, it could ensure that interest rates remain high and may even be inimical to restoring economic growth in the short term. However, if the CBN were to abandon its pursuit of low inflation and decide to implement expansionary Monetary Policy to engender rapid economic growth, the outcome for inflation would be much worse. He said expansionary monetary policy would require reducing the CRR and Liquidity Ratios and increasing money supply through purchase of Bonds and Treasury Bills. The CBN has maintained a tight monetary policy to contain rising inflation and encourage forex inflow into the country. “Although we made some progress from these initial policies, the pressure on the forex markets continued to swell. 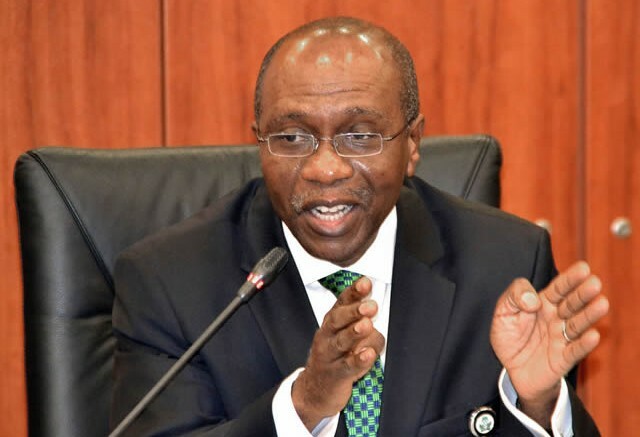 With the rate at N197/$1 and the premium vis-a-vis the unstructured markets widening, there were indications that autonomous forex suppliers were hesitant as they perceived the pricing to be inappropriate,” the CBN boss said. He said the introduction of a more flexible exchange rate regime with a view to eliminating forex market pressure, buoy autonomous forex inflows, and preserve the forex reserves. Also, to support small-scale users and encourage increased forex inflow from diaspora remittances, the Bank undertook the licensing of International Money Transfer Organisations (IMTOs). “More importantly, however, in order to further extricate the lingering bottlenecks, increase transparency and boost supply in the forex market, the CBN, in April 2017 introduced the special Investors’ and Exporters’ (I&E) FX Window. The establishment of that special (I&E) window has tremendously facilitated market driven transactions and has catered for the FX needs of investors and exporters. As a result, we have seen an appreciably improved FX supply due to the introduction of the window,” Emefiele said, adding that $4.7 billion of foreign exchange inflow had been recorded through this window since April 2017. He said he was unaware of the seeming unpopularity of some decisions taken by the CBN. Developments in the international oil market exposed the fundamental vulnerabilities of oil exporting countries, such as Nigeria, as commodity exporting countries generally endured unfavorable conditions. “We saw the average price of crude oil fall by nearly 60 percent from $114 per barrel in June 2014 to $28 per barrel in February 2016, before recovering to about $50 per barrel today. These resulted in a dwindling of our overall economic fortunes, as net inflows tapered and pressures escalated in critical financial markets,” he said. He said available data indicated that Nigeria’s Gross Domestic Product (GDP) contracted by 1.6 per cent in 2016 compared with a growth of 6.2 per cent in 2014, and 2.8 per cent in 2015. Also, within this period, the economy, he said, witnessed sharp increases in inflation rate, reflecting supply constraints, exchange rate depreciation, and adjustments to energy prices. Emefiele said inflation rate rose persistently from 9.2 per cent in July 2014 to 18.7 per cent in January 2017. Be the first to comment on "Forex Monthly Demand Jumps to N588b -CBN"